Turning to government support, credit institutions, in other cases when you need to verify the solvency of the citizen must present a certificate 2-pit. - TK THE RUSSIAN FEDERATION. A salary certificate on form 2-NDFL is the official confirmation of the citizen's income, it contains comprehensive information about the types of income and the amount withheld for income tax. Rules fill out this form, regulated by the tax legislation. According to claim 2. article 230 of the tax code, to issue a certificate 2-pit has the right the employer who is a tax agent, i.e. to pay personal income tax for their employees in the budget. According to article 62 of the Labor Code, the employer is obliged to issue a certificate 2-pit at the request of the employee (written or verbal) within three working days. Also upon written request of the employee all other documents related to his work: copies of orders, extracts from the workbook, reference on accrued and paid contributions for pensions, etc. All these documents must be duly certified and provided to the employee free of charge. 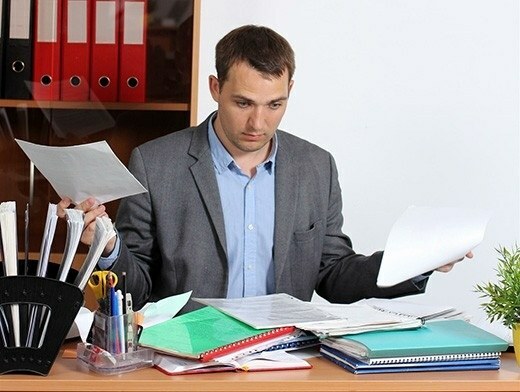 Dismissal of the employee, all documents related to his activities in the enterprise must be given on the last working day, including the employer is obliged to issue a certificate 2-NDFL for last two years for the employee as this document will need to provide on the new job to calculate the amounts of tax deductions. To avoid unreasonable delays in getting help 2-NDFL negligent employer, it is necessary to write the corresponding application in duplicate, one copy to submit to the office of the enterprise, and the second (which remains an employee), the Registrar must affix the stamp of acceptance of the application, showing the date, registration number, state their position and to put a personal signature. If you need to provide a certificate 2-pit in the past, but the facility was closed, you must contact the tax office. The fact that employers-tax agents must submit information on withheld and remitted to the budget the amount of income tax for each employee, to raise these data is not difficult on the basis of official statements by the taxpayer. You can also contact the archive at the place of business of the enterprise with an official request for the needed document. For violation of terms of providing of the necessary certificates to employees of the Director and chief accountant can be prosecuted under article 5.27 of the administrative code. This occurs by the decision of the labour Inspectorate, because it is this Agency granted powers of control and supervision over observance by employers of labour legislation. If you have problems with getting help 2-NDFL, it is possible to apply to this Supervisory bodies with the complaint.